Bitcoin is a digital currency. It is open-source and decentralized which means it isn’t owned by any government, or controlled by any bank. Nothing can be hidden/manipulated due to how transactions are verified on a sort of global spreadsheet called the “Blockchain” (trying to keep things super simple but if you want to read the ins-and outs you can find the full “bitcoin white paper” which goes into depth in how transactions are confirmed and “minded”) in which 1000s of computers verify each purchase transaction and bitcoin send on the network. This means that essentially this spreadsheet is duplicated and synced live all around the world by 1000s of people – similar to a peer-to-peer system which has no focused centralization to control (or manipulate) it. You can send bitcoin from your computer, tablet, smart phone or other device, to anyone, anywhere in the world, day or night. The transaction fees are either 0% or a tiny fraction compared to the cost of a credit card payment or a bank transfer (especially internationally). And the time taken is dramatically reduced – on average, a transaction completes in 20-30 minutes (once it has been verified). Bitcoin as a form of payment for products and services has seen growth,and merchants have an incentive to accept the digital currency because fees are lower than the 2-3% typically imposed by credit card processors. 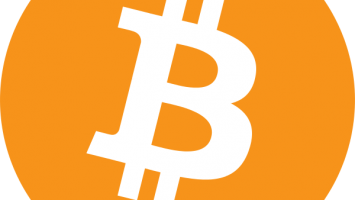 The European Banking Authority has warned that bitcoin lacks consumer protections. Unlike credit cards, any fees are paid by the purchaser not the vendor. Bitcoins can be stolen and chargebacks are impossible. Commercial use of bitcoin is currently small compared to its use by speculators, which has fueled price volatility. 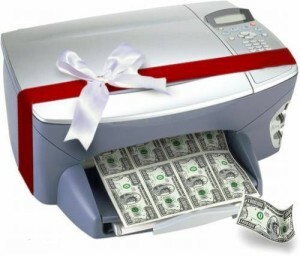 No one prints bitcoin in the same way that regular national currency is printed. Whereas a bank can simply produce more money to cover the national debt, thus devaluing their currency and causing inflation.. Instead, bitcoin is created digitally, by a community of people that anyone can join. Bitcoins are “mined” using computing power in a distributed network. This “mining” is the method of processing and securing each transaction – locking them into the “blockchain” ledger. Miners earn bitcoin as rewards for using their computing power when they verify transactions and solve the complex mathematical formulas associated – this now requires quite significant (and growing!) computing power. The Bitcoin protocol – the code and mathematical rules that bitcoin is based on state that there will only ever be 21 million bitcoins created by miners. This finite number means that bitcoin is deflationary rather than inflationary like all other national currencies; i.e. because the bank is constantly printing more money to cover debt and to fill new loans, the value of the currency as a whole falls – thus we have inflation. However with bitcoin, only 21 million can ever be created, so the currency is deflationary – as it becomes used more and more in demand, the price will rise as there is a fixed, definite, limited supply. Now 21 million might not sound like enough if it is really to be adopted and used as a worldwide currency and accepted in all online shopping.